A mission church committed to outreach and care for those most in need, St. Mary’s must rely on generous donations. All gifts to St. Mary’s are tax deductible. Unrestricted gifts are directed to areas of greatest need, whether for food, supplies or capital improvements and repairs, or general operations. Gifts to the vicar’s discretionary account are used to provide assistance and support to those most in need and to support ministry activities for that purpose. 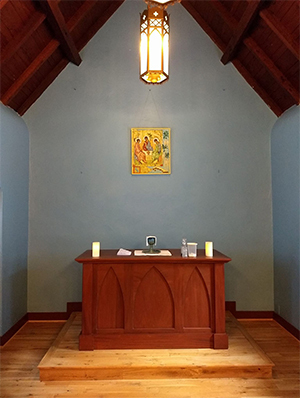 Most urgently we are raising $50,000 in funds to replace roofs on two of our buildings and to expand restroom and bath facilities for our retreat and residency spaces. Individuals using this space will be providing important ministry and support services for those in need and will be active in our worship and prayer life. Please contact Jordan Meirow @ admin@stmarysjax.org if you would like to donate.